Thanks to students in the fourth grade class of Kelly Pacheco at at Ashley School, who donated food for the Pets Eat Too program, a program of the City of New Bedford and the Coalition for Animals that provides free pet food to seniors who might not otherwise be able to afford their animals. 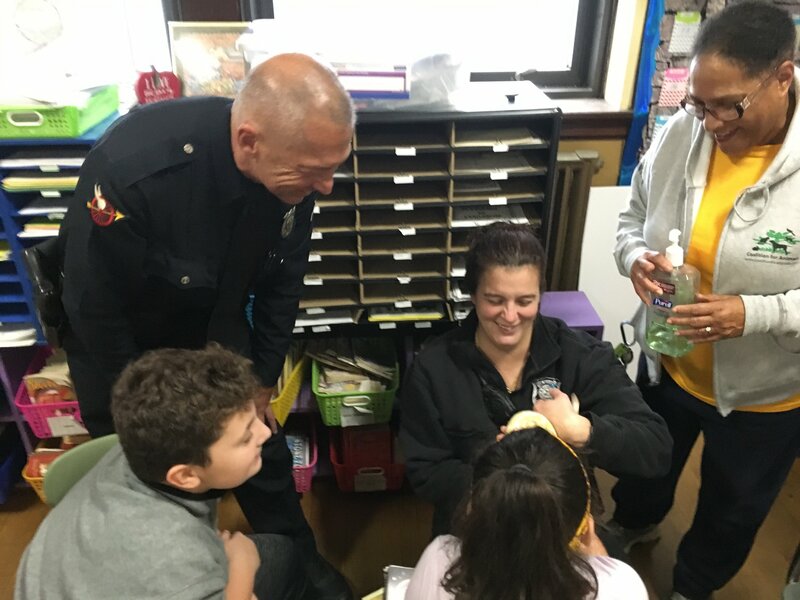 Animal control officers Manny Maciel and Shelley Avila-Martins visited the classroom with the animal control’s pet snake, which Officer Stephen Brown bravely held. Great job by these kind-hearted students!